Revitalization of the Castle is at the heart of the South Mall Master Plan. 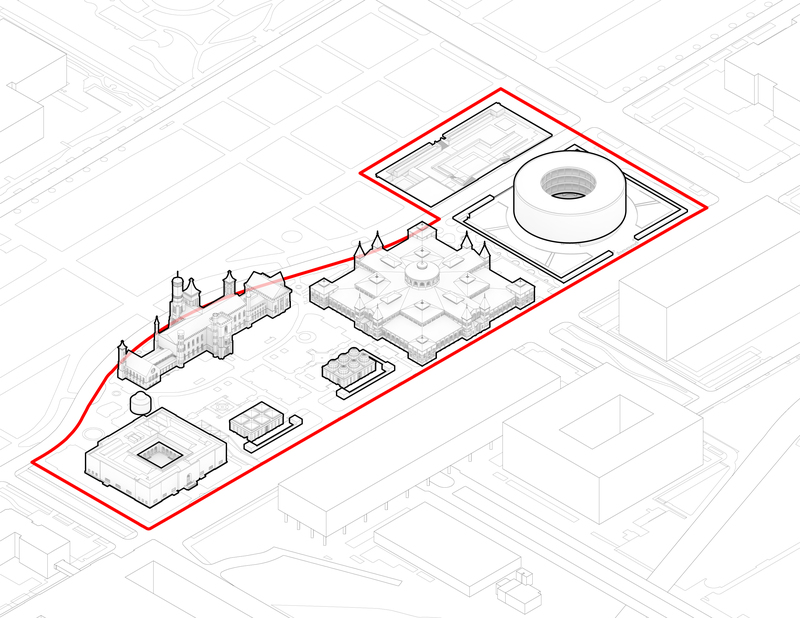 The proposed plan will provide an expanded and improved visitors’ center and accessibility to and from the museums and gardens of the South Mall. Renovation of the Castle is expected to begin in 2021, preceded by several supporting projects to temporarily relocate visitor services and consolidate office space. The Master Plan proposes a new accessible entrance from the garden on the east side of the building. This entry is created by extending existing window openings to grade and would provide direct access to the ground-floor level of the Freer, leaving the historic galleries above unchanged. The Master Plan provides a flexible framework for integrating both interim and permanent uses of the Arts and Industries Building. The building was named in proposed congressional legislation as the home of the Smithsonian American Latino Museum. The building may serve as a temporary visitor center and accommodate Ripley Center education programs during renovations to the Castle.